I will be the first to admit that I’ve never really participated in Ugly Christmas Sweater festivities during the holiday season. Mainly because I didn’t want to ruin a perfectly good sweater. I’m also not about that DIY life with creating wardrobe pieces. We can blame it on my OCD and rationale. 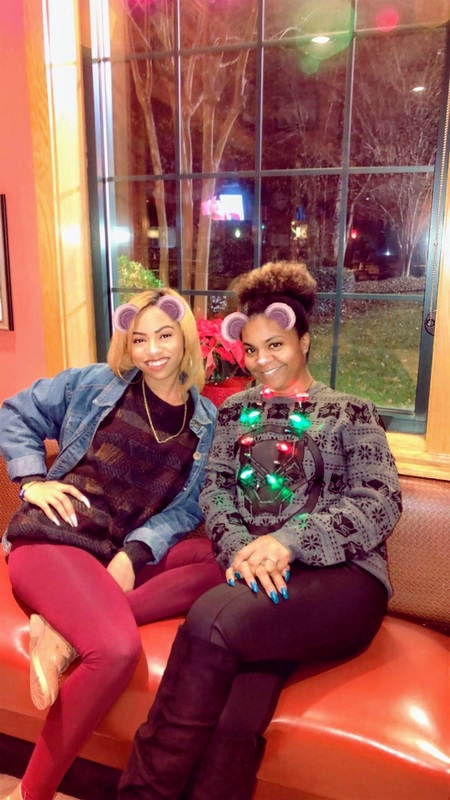 This year was different because I had the help of Ugly Christmas Sweater.com to assist me. I was excited about partnering with them and choosing the perfect sweater for me that suits my style. 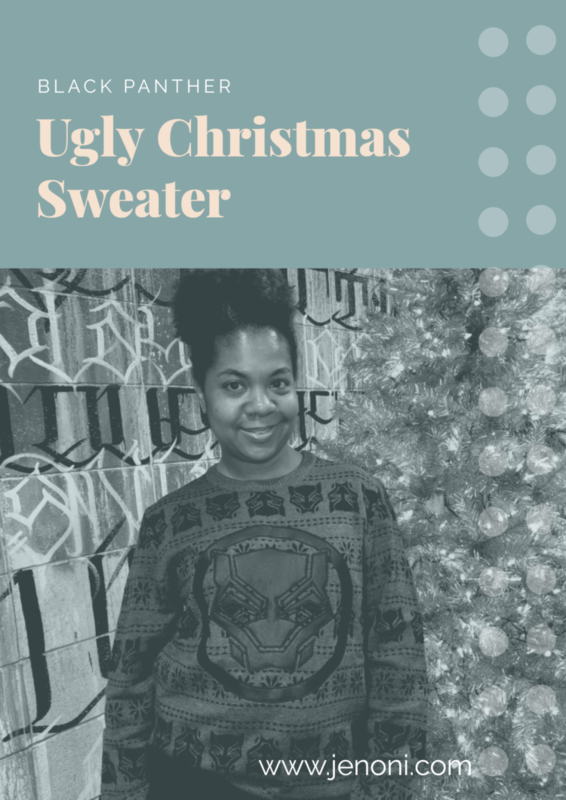 Ugly Christmas Sweater is your one stop shop for holiday attire for Men & Women. You have your choice of themed sweaters from your favorite movies or TV shows. They even have “Naughty” Christmas sweaters. My favorite one says… “Santa’s Favorite Ho!” in a festive holiday design. I opted to be Nice and get a Marvel Themed Ugly Christmas Sweater. I almost went with the Star Wars Storm Trooper and Deadpool design. There are so many awesome choices to choose from. 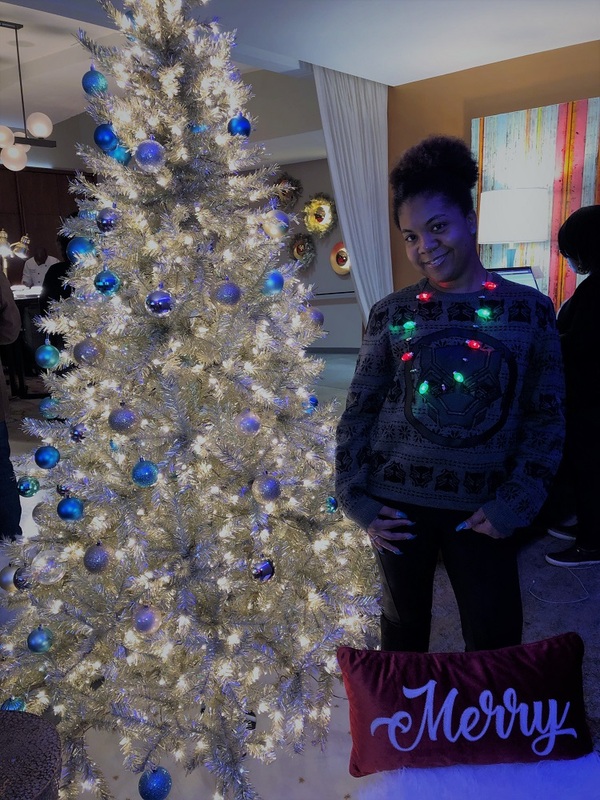 They even have fun 3D sweater options you can choose from to really wow the crowd at your holiday office party and win the Ugly Christmas Sweater contest, because you know every Christmas Party has one. Ugly Christmas Sweaters.com also has holiday pajama jumpsuits and customizable options to really make it your own. Fun Fact: Did you know that the 3rd Friday in December is National Ugly Christmas Sweater Day? That’s December 21st, 2018 if you’d like to participate this year. After all my browsing and indecision, I decided to get the Marvel Black Panther Ugly Christmas Sweater. It’s gray with black panther and snowflake designs with long sleeves 60% cotton and 40% acrylic. I wore it with my black leggings and favorite black boots. I’m a Marvel fan, mostly because of my son who must own every game, see every movie and collect every action figure. I was doomed from the beginning. 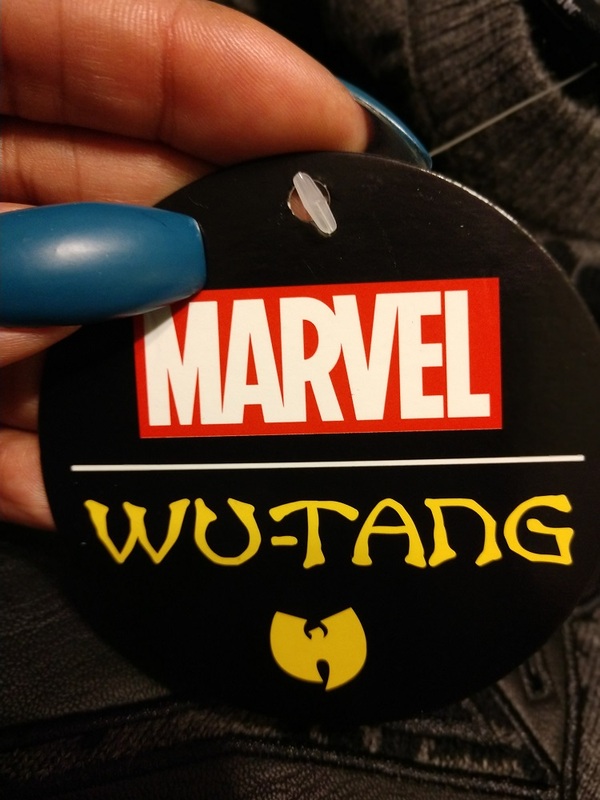 Now, I jump at every opportunity to get my Marvel fix with or without my son. 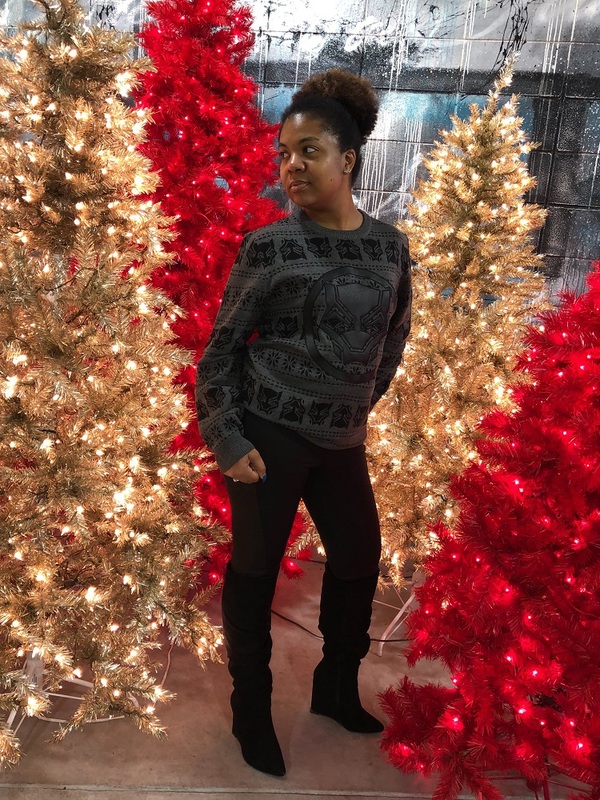 I have a few holiday parties to attend and I’m feeling quite prepared with my Black Panther Ugly Christmas Sweater which is Unisex by the way. Fellas, you can choose from your favorite pop culture themes. They also have holiday jackets and leggings. 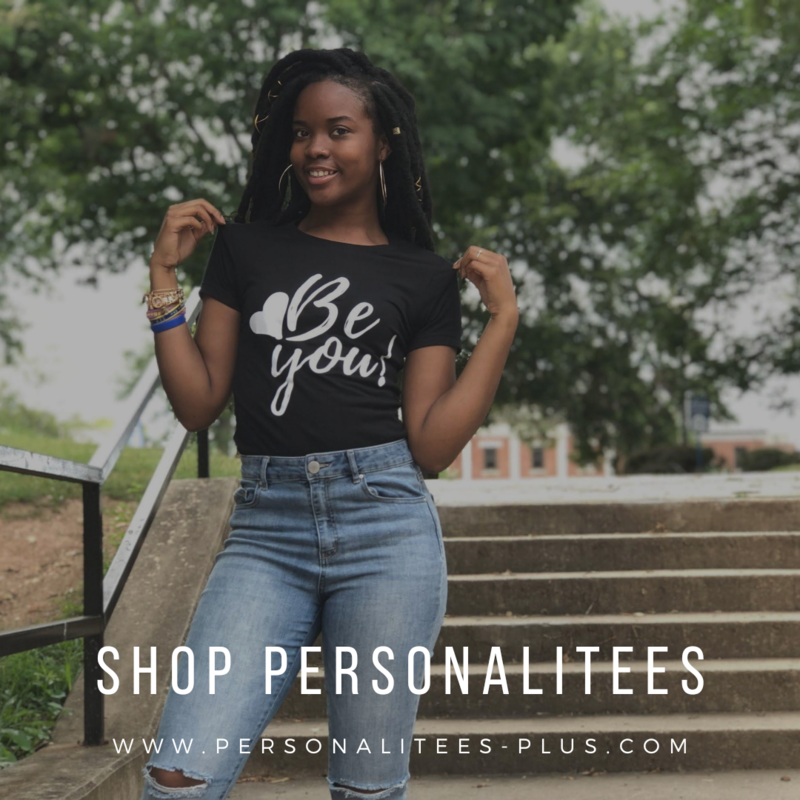 You have a great selection of items to choose from. 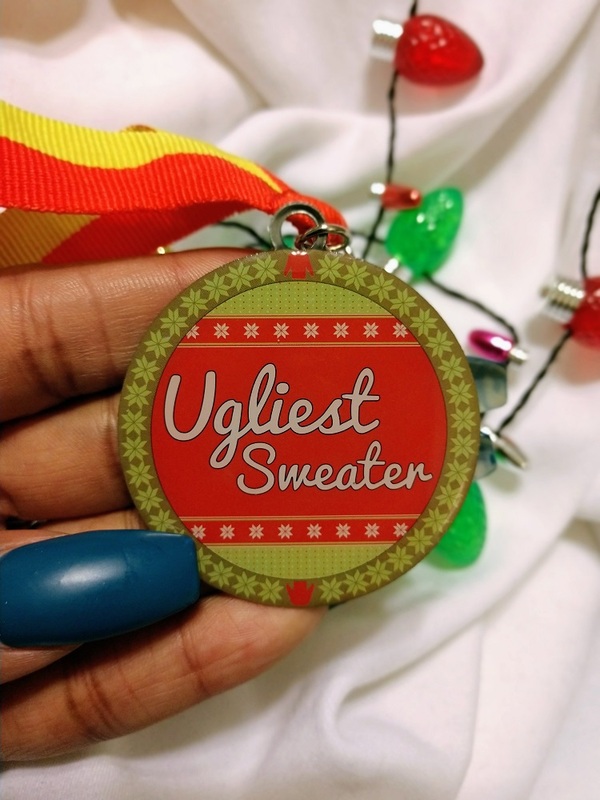 Head on over to Ugly Christmas Sweater.com and browse all the different categories. I’m sure you’ll find something you love. I had a few options picked out before I narrowed it down to the Black Panther. So, do you participate in Ugly Christmas Sweater Festivities?